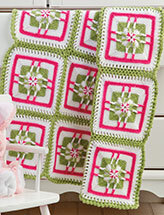 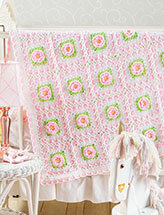 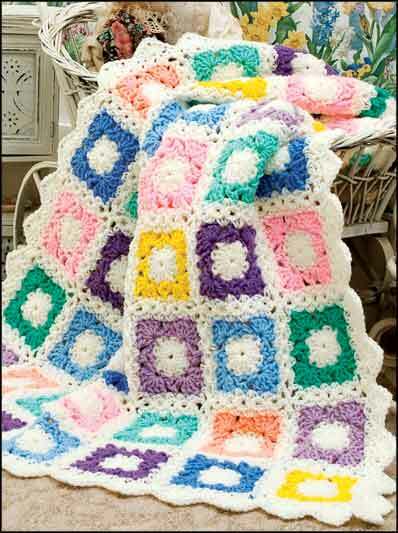 Fun-to-stitch, join-as-you-go motifs make this colorful baby afghan a delight to create! 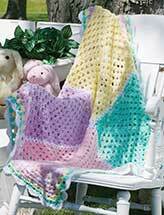 Size: 31" x 41". 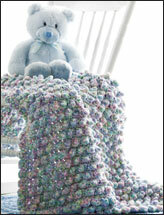 Made with medium (worsted) weight yarn and size H/8/5mm hook.